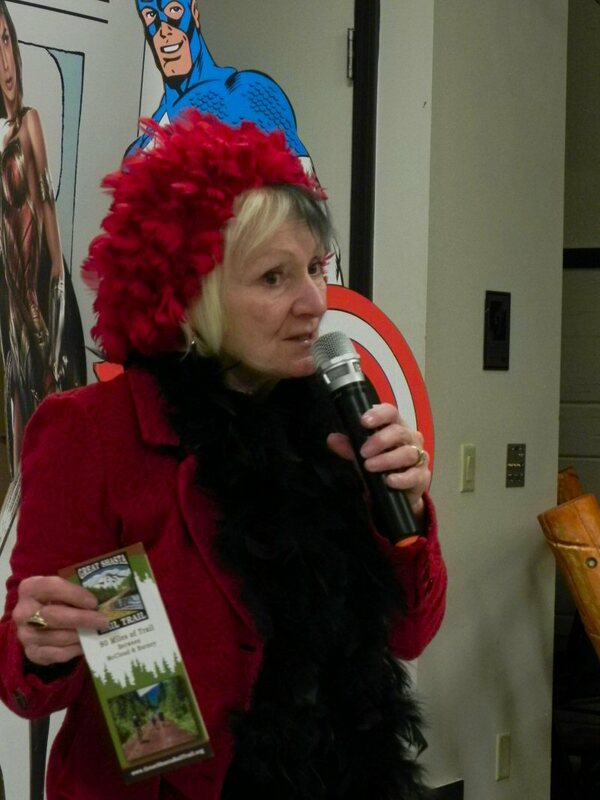 Jill Barnett, President of the Burney Chamber of Commerce explained the purpose of the event. 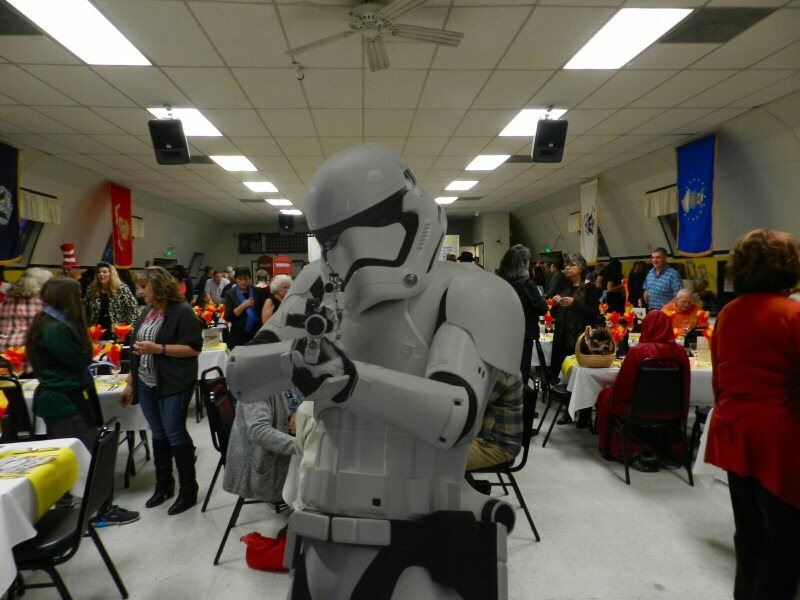 The Fall Fling is the largest fundraiser for the Burney Chamber. All of the money raised goes to projects that promote commerce in Burney. Last year’s Fall Fling raised $10,000. 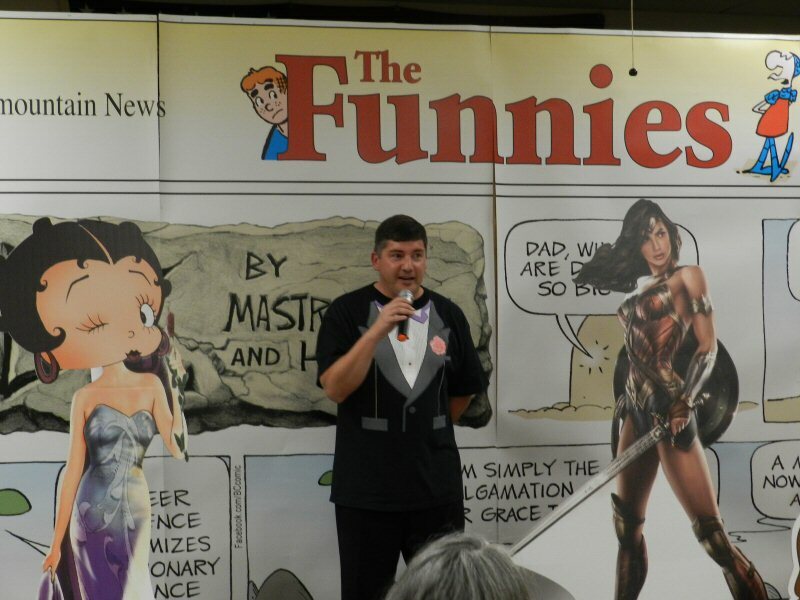 Willie Rodriguez served as Master of Ceremonies. 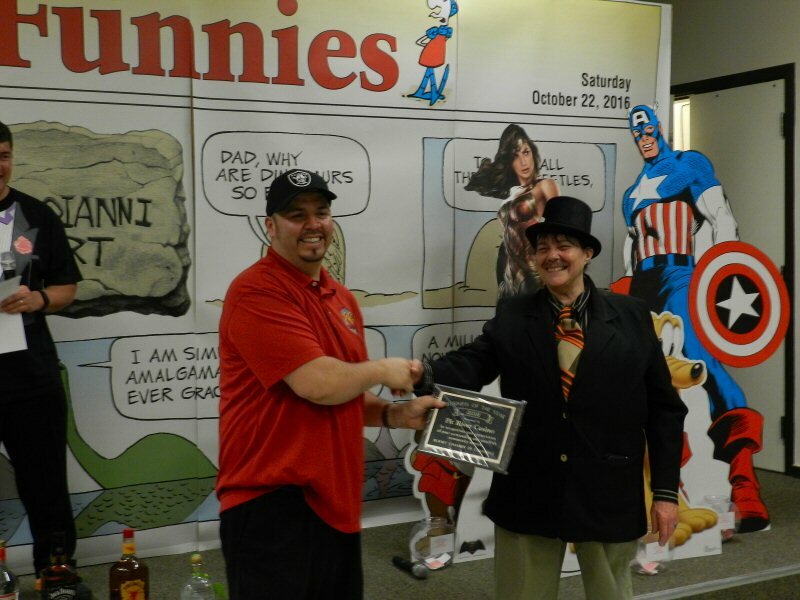 Honorary Mayor Nancy Bobo dressed as Wimpy, helped to present this year’s awards. Pit River Casino was awarded Best Business of the Year Award. Ramon Alvarez accepted the award. 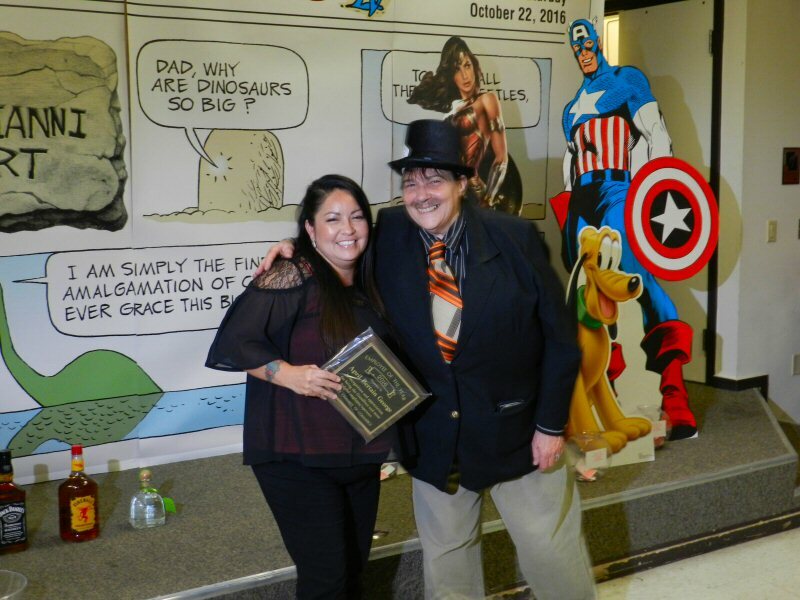 April Bertain George won the award for Friendliest and Most Helpful Employee. Burney Boosters was awarded Organization of the Year. Kathy Urlie accepted the award on their behalf. 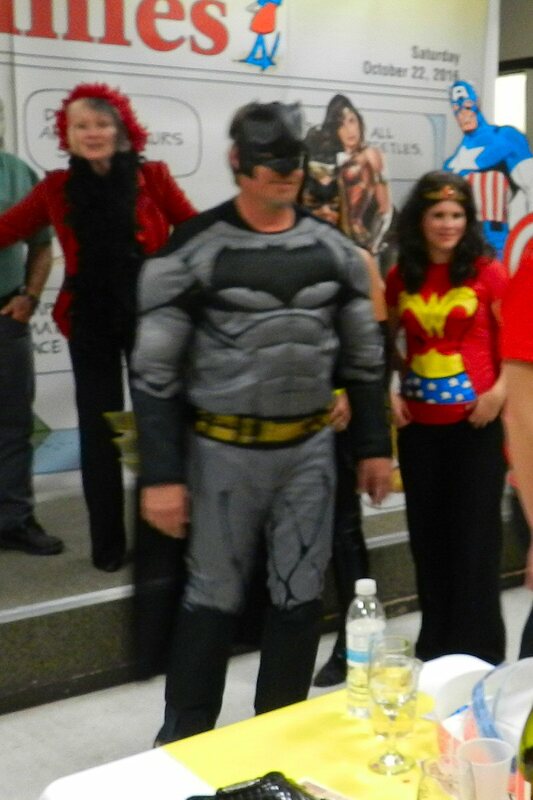 Doug Lindgren, dressed as Batman, won Best Male Costume. 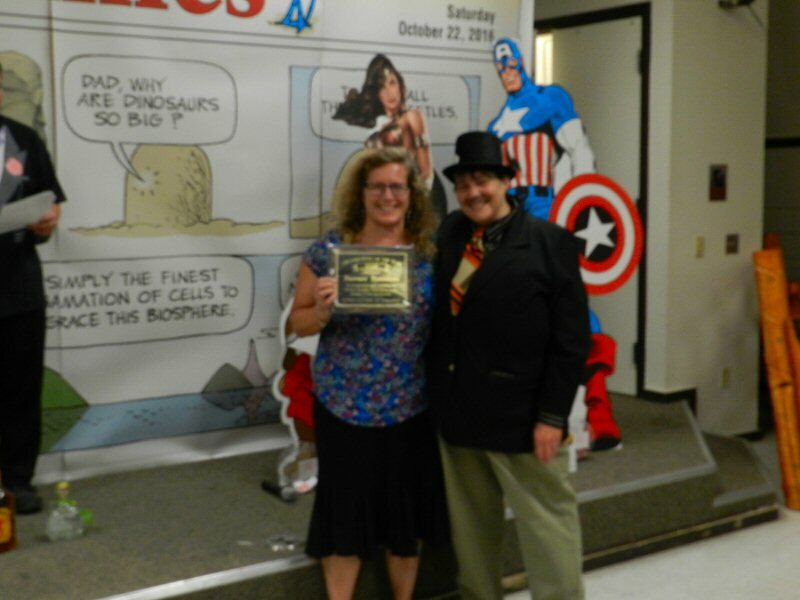 Debbie Krieg won Best Female Costume. 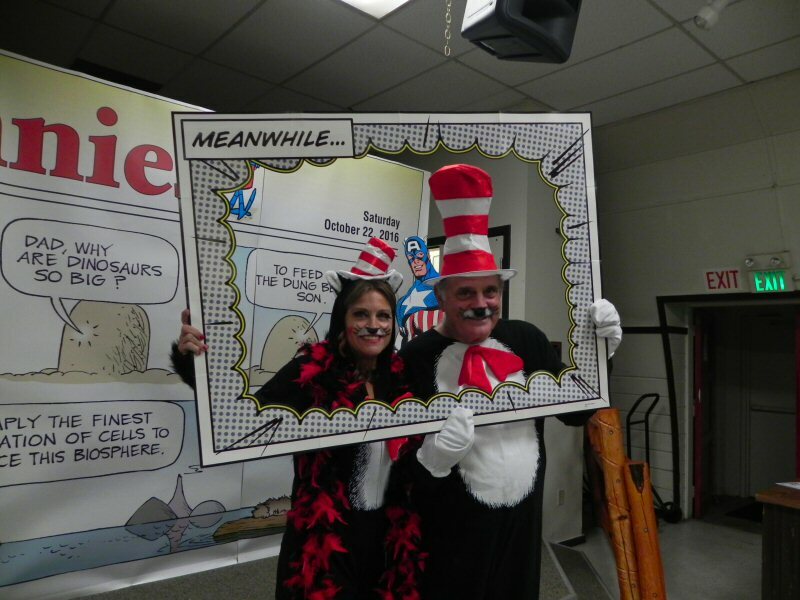 She and her husband, Alex, came dressed as Mr. and Mrs. Cat in the Hat. 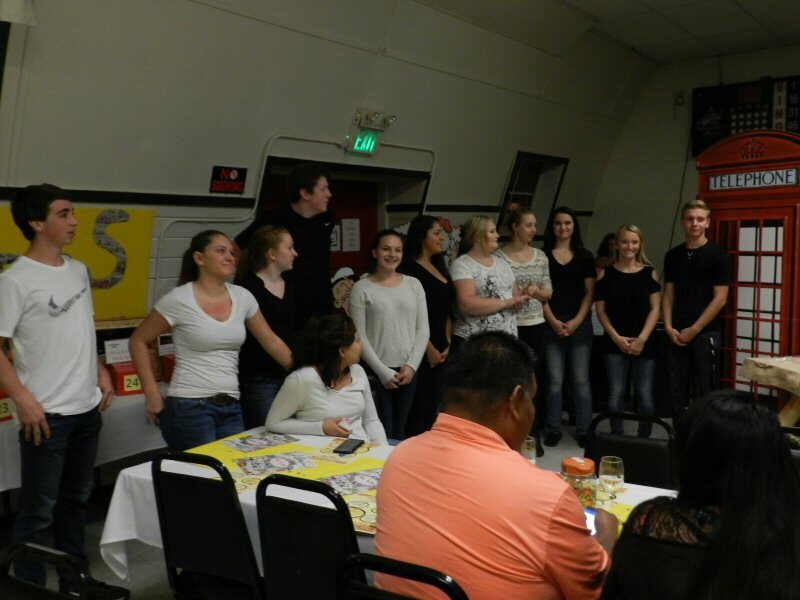 The dinner was served by Burney High Leadership Class under the supervision of Student Activities Director Melissa Madden. 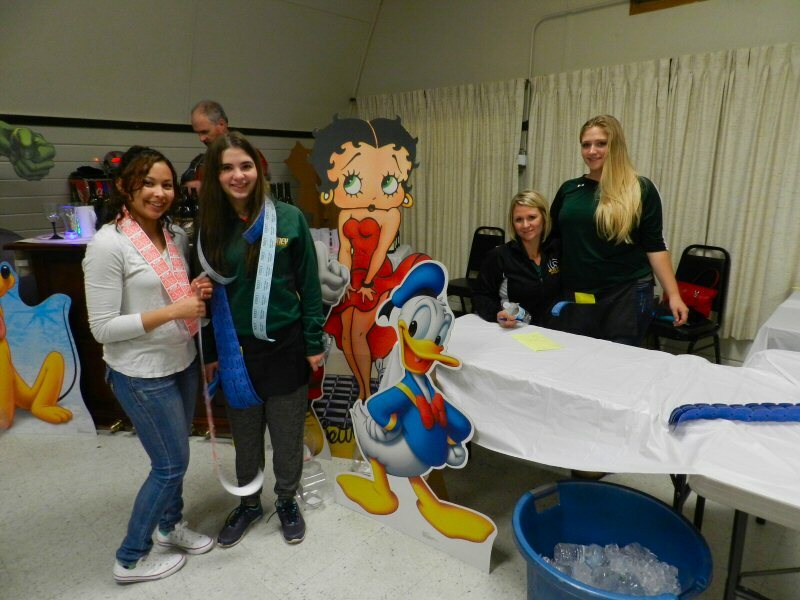 Loni Kolek and the Burney High School Girls Volleyball team sold raffle tickets for more than 80 items donated by local businesses and supporters. There was a cake auction. The highest bidder on each cake had a chance to win a beautiful pine picnic table with benches. Likewise, those who bid highest for a variety of spirits had a chance to win one of three guns, including two rifles and a shotgun. There was also a silent auction for a variety of items.